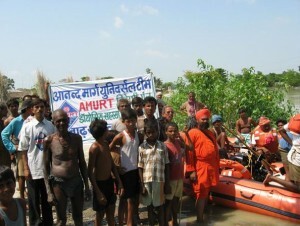 AMURT was first created to work with floods in India. It is well established locally and has long experience. The government is not taking proper responsibility after the recent floods in the Himalayas and AMURT needs support. Please mark payments “India”, account number left side. The fact is that all government and other jobs are controlled by Hindi outsiders. There is a vast difference between the local people and the other people of Uttar Pradesh in manners, culture and morals. Despite this the local language is not studied in any school. Instead people are forced to learn Hindi. During the independence movement of this state, there were strong cultural movements but this has not flowered due to control of the state by Hindi outsiders. 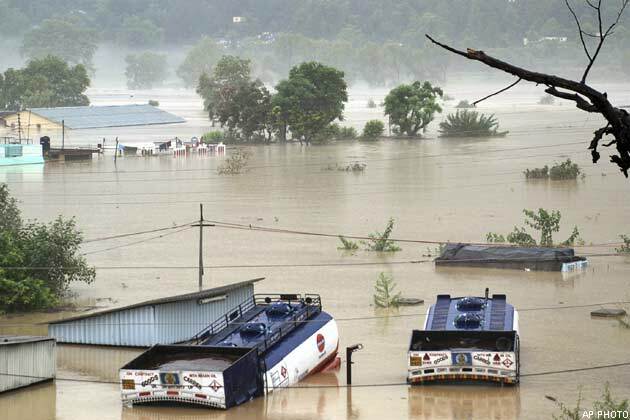 At that time also there were ecological movements like the Chipko movement to stop the killing of forests. When the local language movement died these movements died because as Baba said, without a culture people have no backbone. There are even schools where students are taught Sanskrit but no school teaches the local language. Naturally the local people have an inferiority complex which renders them ripe for exploitation and for debasement of the youth by Bollywood culture. Also local children in schools learn slowly as they are not taught in their mother tongue and hence fall behind the children of Hindi outsiders from UP. This is why Proutists must fight for every mother tongue… (When local people talk to Hindu-speaking people they will feel inferior, as this is not their language and it is difficult for them to speak accurately and nicely-A).